Your body has a lot of joints: hips, knees, ankles, wrists, shoulders and more. When you get pain in those joints it can be debilitating. 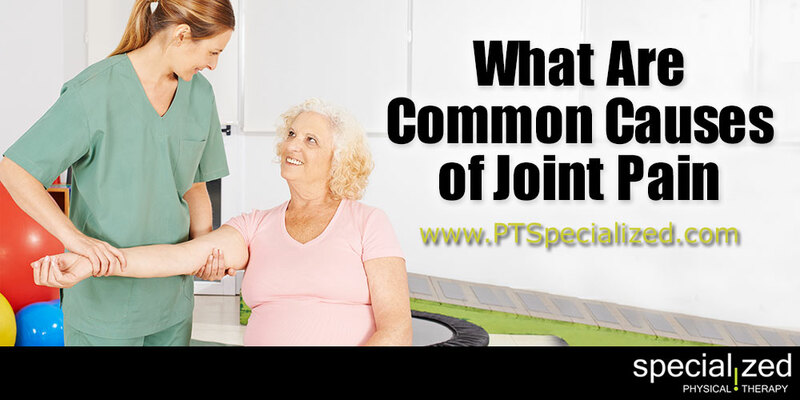 Joint pain is treatable, and also has a few common causes. The most common is arthritis. Osteoarthritis is the most common form. It occurs when cartilage in your joints wears down over time. Osteoarthritis can affect any joint in your body, though it most commonly affects joints in your hands, hips, knees and spine. It is degenerative and there is no cure, but there are treatments to make living with it easier and decrease or in some cases even eliminate the pain. . Rheumatoid arthritis is another form of arthritis where the immune system attacks the joints. It is also degenerative with no cure. Moving too fast when turning, tripping and falling, or repeated motions can cause pain in your joints. Exertion, overuse, strains, sprains and fractures; in today’s on-the-go lifestyle it is often easy to suffer from one of these common conditions. That’s why it is so important to maintain a balanced diet and healthy lifestyle through exercise and with a little common sense you can avoid such injuries. While it can affect women, it is more prevalent in men and it is hereditary, but also caused by obesity, high blood pressure, heart disease and diabetes. The biggest contributing factor is a high serum level of uric acid. It usually affects the feet, hands and elbows, but it can attack other joints as well. It happens when the tendons become inflamed. Most commonly, it happens when you start a new exercise program, and begin to experience symptoms of tendonitis. The tendon reacts badly to the new demands and become inflamed. Bursitis is similar, and another form of inflammation where the fluid-filled sacs that cushion and pad the bones and allow muscles and tendons to move freely over the bone.